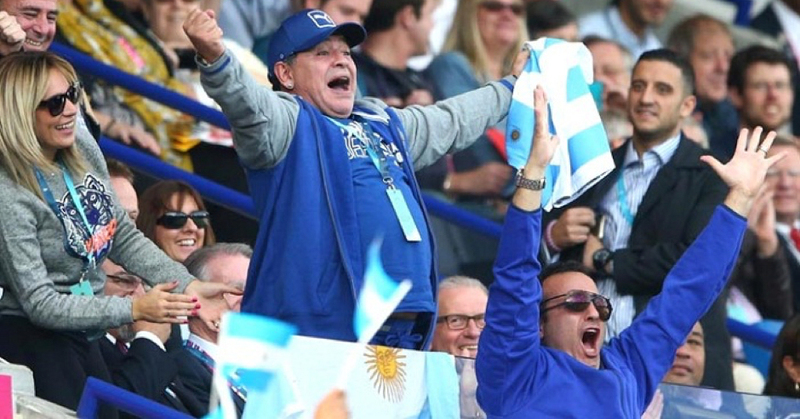 Despite being biggest name in Argentinian sporting history Diego Maradona is a fan by heart and just like the rest of us he can let his passion for sport take over. We’ve all seen footage of the World Cup winner jumping and screaming at Argentina football matches but he’s just as animated and passionate when his country’s rugby team play. As part of their ‘Festive Countdown’ World Rugby’s Youtube channel have put together a collection of Maradona’s best moments as he cheered on Los Pumas at this years World Cup in England.